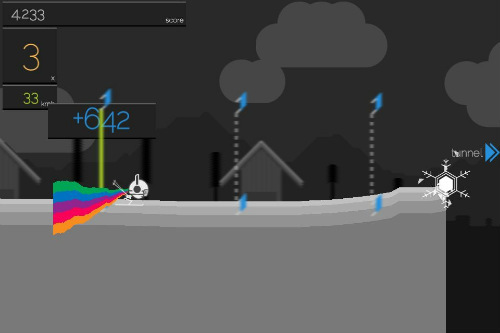 Description Solipskier is a fast paced skiing game where you draw the slopes to pick up speed and do jumps. Paint your own cliffs, do tricks and slalom through gates to get huge scores! Controls Just left click to paint the slopes, release to do tricks. Extremely fun, addicting and fast paced skiing game! With awesome graphics and music!